on 13th of January 1940 when Billy had just turned 18. Rena Liddell has a surname that holds great affection for Liverpool supporters. Despite being seventeen years younger she was close to her big brother. We always used to call him Willie. He wasn't Bill to us. We were both born in Townhill, which was a mining village. Where I was born, it was 250 Townhill road. It was a very religious community. Rena is the only sister of Billy Liddell. Billy was by no means her only brother. 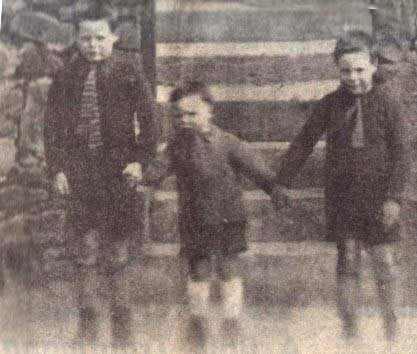 There were four other brothers in the family: Campbell, Alistair, Tom and George, who is Rena's twin. (On the picture below, left to right - Billy, Campbell and Tom). Billy described his upbringing in his excellent autobiography: “My Soccer Story”, published in 1960. "I was the eldest of three boys, though afterwards the family increased by two more brothers and a sister. It was a struggle making ends meet, and many were the sacrifices my parents made for their children. In 1936 my father's wage, as a mineworker was £2 5s a week. We lived in the mining village of Townhill near Dunfermilne. Life was pretty tough, and the family's main diet was porridge (with salt, of course), Scotch broth (kait we called it) and bread. Plenty of bread." Your family couldn't allow for much luxury when you were growing up? It was hard times growing up. When we went round to my auntie's we had a whole half egg each, as we used to say. But we had a good life. I got football boots for Christmas once. Billy, who was the oldest, moved to Liverpool in 1938, Rena was born six days after war was declared on 12th September 1939. 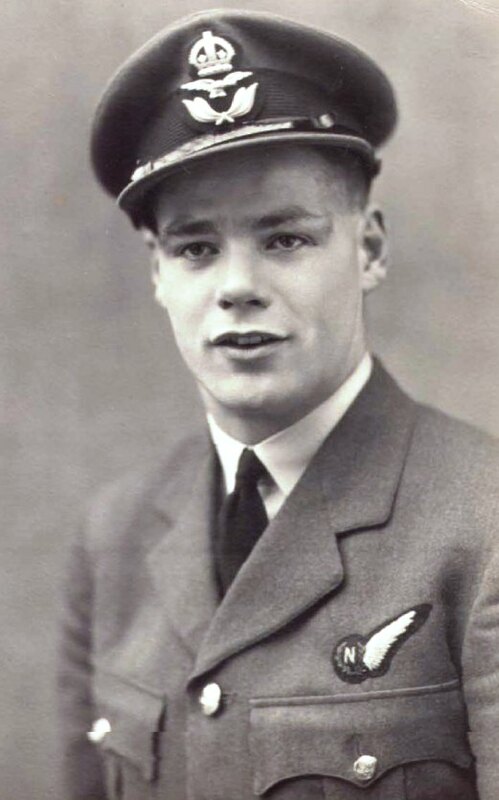 Billy joined the RAF and played wartime football with Liverpool and the RAF team. 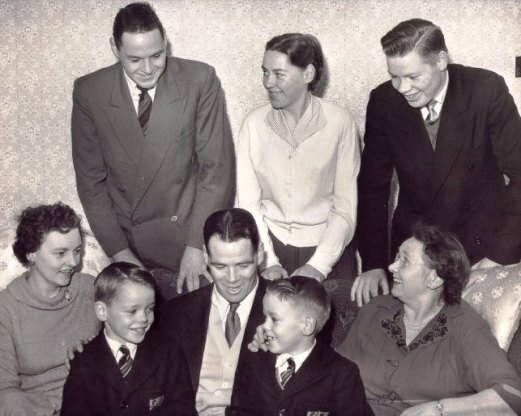 Billy made his Scotland debut in 1946 and his family followed his progress with great anticipation. When he was playing for Scotland, it was on the radio and we’d sit around listening. The only thing my father objected to was they called him "Billy Liddall". 'It’s Liddell, not Liddall', he said angrily. We listened for his name and when it came on, we’d cheer. Rena has several wonderful family memories from Scotland. All my brothers and my mum went to the Scottish dancing. Bill was good at dancing, he was good at anything, wasn't he? He was a good dancer. It's quite complicated, the Scottish dancing. The Irish only dance from the legs down, We Scots use our arms, our legs and everything. Bill used to come up to Scotland after the war and Phyllis would play our organ and we would have parties. It was great fun. When Rena was 11-years-old she moved to Liverpool along with her family to Billy. My father was a miner and he got silicosis* and died in 1951 when he was in his 50s. He asked Bill to look after us and the only way he could do that was bringing us down to Liverpool from Scotland. My mum, Alistair, George and I came down. Bill would do everything for everybody. *a disease prevalent among miners who breathe much dust. Billy is 29 at the time, a part-time footballer, part-time accountant. It must have been a big responsibility on his shoulders to become the head of the family? He put us in his house and he got a club house, but it was very difficult for him, He was keeping two houses. I didn't like it in Liverpool at first. We lived in Westfield Avenue where all the Liverpool players lived. Bob Paisley and Willie Fagan were among our neighbours. People would come to the street to see the players. We lived on the corner and had a big garden. People would say: 'That's were Billy Liddell lived.' It was about half an hour away from Anfield. Billy would get the tram to play the games. He didn't have a car until much later. Were you and Billy close? He was much older and was my big brother. He was a church-goer and I used to see him every Sunday at church. And we used to go to their house every Thursday. He was special and he would sometimes preach. I remember hearing him preaching in Dunfermilne. David and Malcolm, on his knees. Alistair, Rena and Rena's twin, George. Was it difficult to be always compared to Billy? Billy was brilliant at mathematics. We all went to the same school. Every class I went there my brother had been there. They were saying: 'You're not as good as him'. It was a lot to live up to. It must be strange sometimes for you to be a sister of a legend? I cope with that. It was nice to have a famous brother. Sometimes you get still introduced as 'Do you know who this is? - Billy Liddell's sister.' Sometimes you would think: 'I'm Rena Liddell. I am my own person, you know.' He deserved his legend status at the club. He worked hard. He was strong and his opponents must have felt his power when he attacked them? He charged, but he was never dirty with it. He bounced one keeper to the ground [says this with great pride in her voice]. Do people come up to you and talk about your brother a lot?